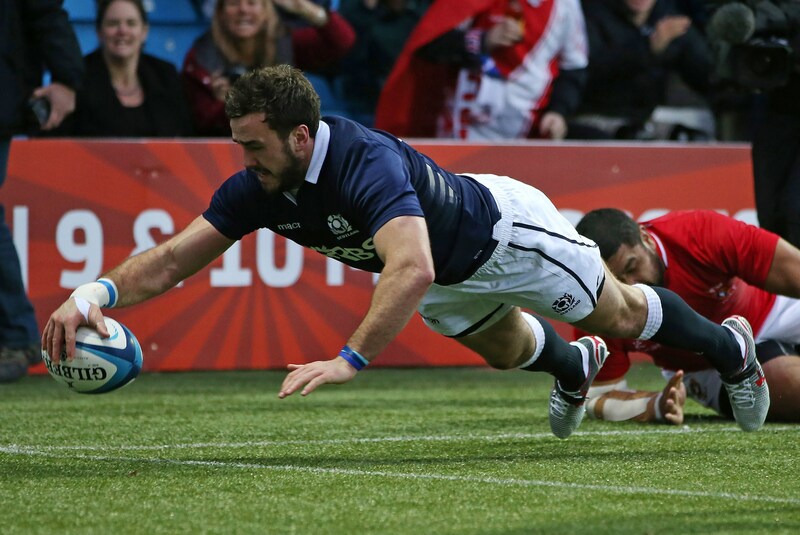 What did we learn from Scoland's 37-12 victory over Tonga, ending their autumn action? At last there is hope! A youthful and talented team picked on form, that is playing with attacking intent and that is given quick ball to work with by a pack playing high intensity, physical rugby. If you asked a Scotland fan what they wanted to see from their team, they’d probably ask for that. Over the autumn, that’s pretty much what we have seen. Added to that can be the lineout that the Gray brothers have resurrected as our most potent attacking platform. While it’s nice to feel positive, we have to beware false dawns as we have been here many times in the past. 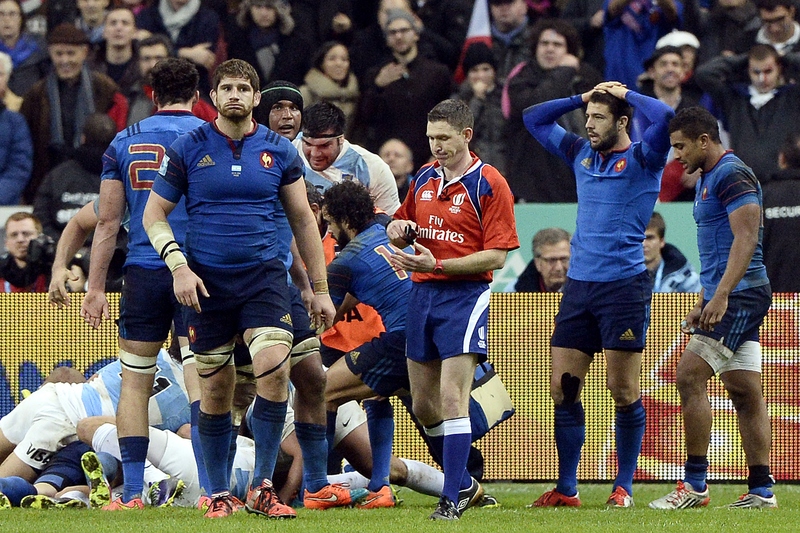 The scrum is still a worry, without enough physical or technical dominance to be assured the right decisions from the referees. Neither Euan Murray or Geoff Cross has decisively commanded the tighthead jersey, although Al Dickinson and Ross Ford both had very good series. Dickinson will be most likely to come under pressure from Ryan Grant, who may be more suited to Vern Cotter’s style than the burly Gordon Reid. Ford still struggles to hook, which will put him under intense pressure from good scrums like England or Wales. Form may keep him in the team, for now. Scotland also have to massively cut down the penalty count. Big Vern would dearly love a list of the Six Nations officials and their individual refereeing bugbears for Christmas, I’m sure. Combinations to try: Will Cotter stick with players like Dunbar? These will be brought into sharp focus over the winter and into the spring, but there are still areas of the team and the bench where the selection is open to debate, in particular the front row. In the centres, Edinburgh’s Matt Scott is back from injury while Mark Bennett is out for a while, so we could see more new combinations in the centre come February or a return to the Scott/Alex Dunbar pairing that many felt was the optimum one, at least until Bennett matured. Dunbar and Scott may go head to head in the festive Edinburgh vs Glasgow Warriors derbies that could potentially throw up any number of such clashes depending on form and fitness: Jonny Gray vs Grant Gilchrist, Adam Ashe vs Dave Denton, Ross Ford vs Fraser Brown, Tim Visser vs Sean Maitland/Tommy Seymour. It’ll also be interesting to see if Glasgow coach Gregor Townsend agrees with Cotter (let alone the fans) about who his first choices are; in particular if Finn Russell is the best choice at No 10 or if he opts for Duncan Weir or Pete Horne. Stick with the All Blacks as long as possible: tick. From that point of view, Cotter can spend his Christmas in front of the fire, not the drawing board. However most fans and pundits inside and outside Scotland will appraise a Scotland team on their Six Nations performance; it is vital that there continues to be the same improved level of accuracy and confidence in the systems come the spring. Conceding fewer penalties would be nice too. After all, we’ve seen plenty of occasional good results in the autumn from Scotland, but decent – rather than lucky – Six Nations campaigns are lot harder to remember. The Argentina team that Scotland made look rather average managed to beat France in Paris at the weekend, and Scotland must open their tournament with the belief that they can do the same. If they can do that, the Murrayfield faithful would fancy a real crack at turning over Ireland, Wales and Italy at home. Ireland are undoubtedly the form team but we’ve beaten them there in recent memory, and most Scotland fans would dearly love to repay some of the hurt that we’ve received from Wales, even if large portions of it were self-inflicted. It’s a big ask – as is getting a result at Twickenham where we haven’t won since 1983 – but if Scotland can control this brand of rugby they are playing, while some of the other nations seem to be struggling, it’s not totally unrealistic. That’s what I’ll be asking Santa for, at any rate.